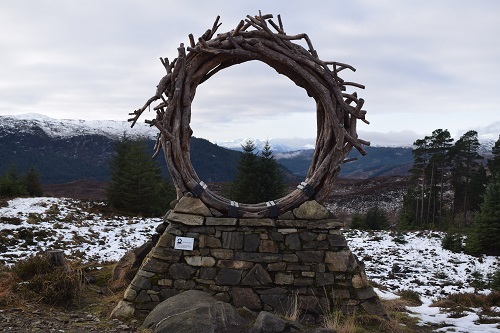 The Great Glen Way is a scenic 74 miles (approx) walk from Fort William on Scotlands West coast to Inverness Castle on the East coast along the Great Glen. 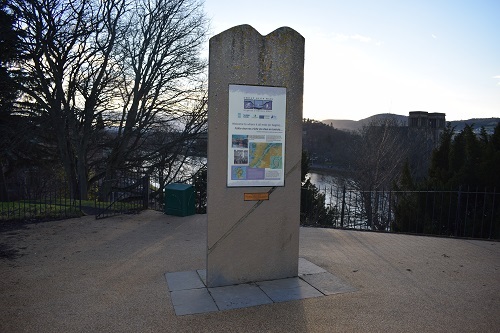 This walk isn't as difficult as The West Highland Way, and can really be walked all year so it's quite a good choice if you have never done a Long Distance Walk before. 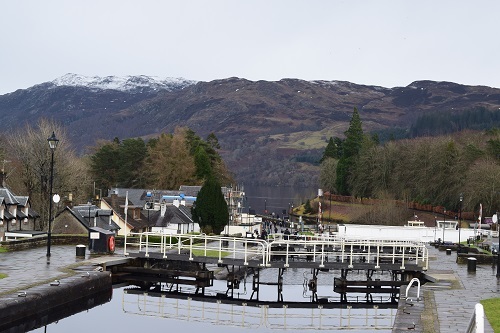 A lot of this walk is done on flat canalside towpaths and forest track with very little steep climbing to be done, with some lovely views of the Lochs and the surrounding hills as you pass by. 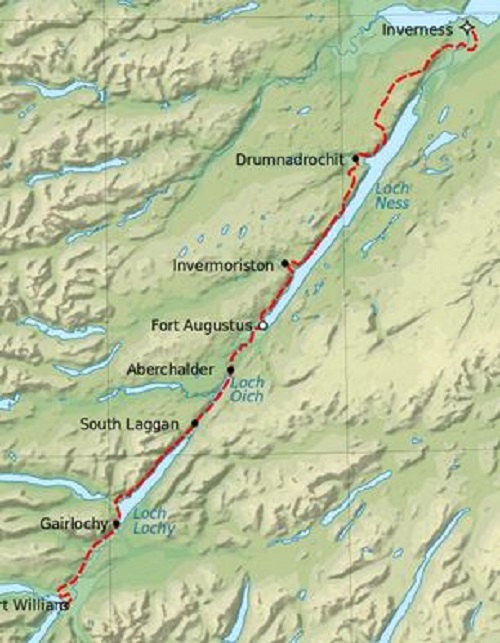 You can do this walk also starting in Inverness and finishing in Fort William. I have done it in both directions and can't say I thought one way was easier or nicer than the other although the finish into Inverness is nicer than at Fort William. They say West to East is better to take advantage of the prevailing wind but when I did it the other way, I had the wind behind me all four days. It's probably easier getting home from Inverness than Fort William though as there are more trains and busses daily from Inverness than from Fort William. 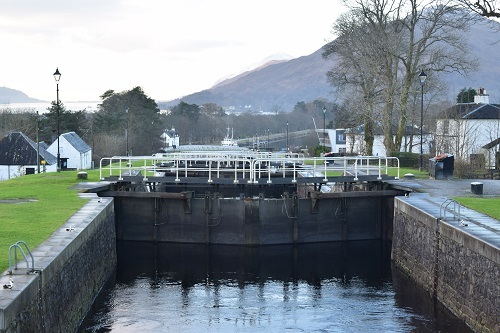 This walk is also a lot quieter than the West Highland Way, you will meet less walkers and you will also notice a few people doing this journey on bike, and even in canoes. You will see the same people every day as you walk, possibly even being in the same accommodation as them at night and sharing your experiences with them, people from many countries. I have now walked the Great Glen Way five times and I have written this diary about my walk in February 2018 to try and give you some advice about planning this walk. How to get to the start and back from the end, where to stay along the way, places to eat or buy food and water and things that you should pack with you for your journey. It's an enjoyable walk, I did it in four days but you may want to take a day or two more to enjoy the scenery, do less daily mileage or to have a rest day. When I walked the Great Glen Way in 2018 and 2019 I made a video of my time on the trail, please click on one of the links below to watch it.